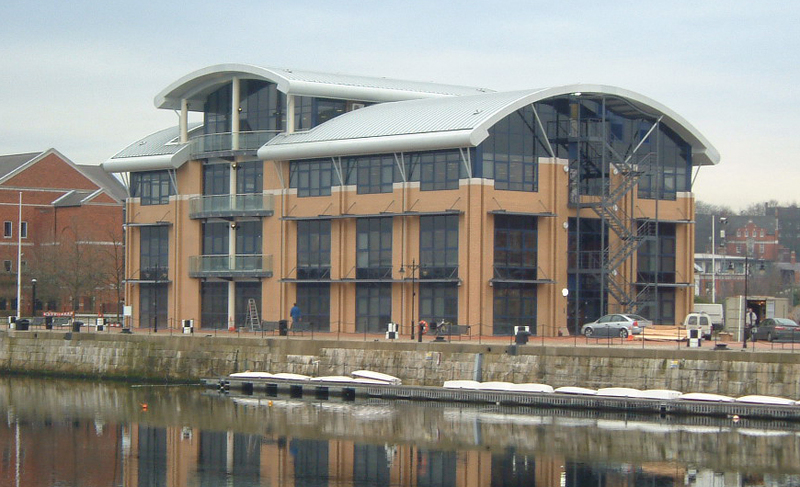 Purpose built Headquarters building in Chatham for a pharmaceutical company . The brief was to create a building which would not only enhance the operational efficiency but would also reflect a modern, forward thinking hi-tech organization. The resultant building occupies a central position in the heart of the Offices Quarter and has contributed to the renaissance of the urban and maritime environment.The building provides in excess of 2,100sqm net internal floor space and includes R&D operations, Production Management and Office facilities. The use of cantilevered balconies and terraces, brise soleil and curtain walling along with large barrel vault roof, give the building a distinctive appearance befitting its strategic landmark location.